A sweet little Art Deco bench from the late 1930's has been reglued to serve another generation. The restored finish is in excellent condition on oak and maple. 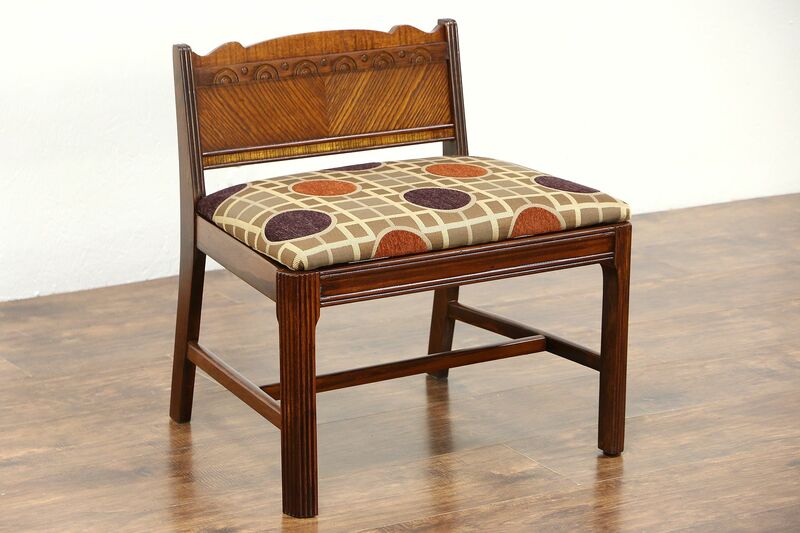 A seat cushion is newly upholstered on this sturdy vintage furniture. Size is 23" wide, 18" deep, 22" tall and the seat is 15" high.